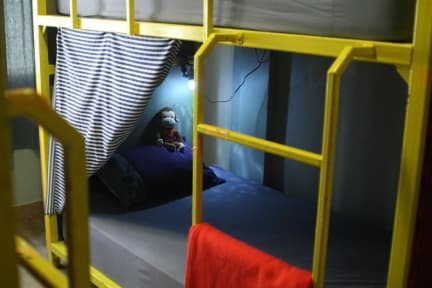 The Sibling hostel i Bangkok, Thailand : Boka nu! 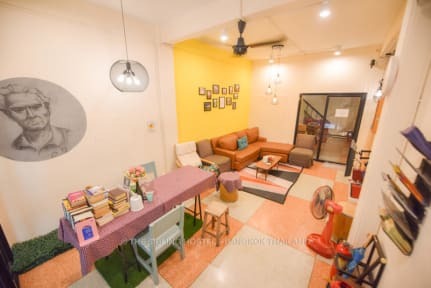 The Sibling Hostel, a home away from home for the globetrotters, is right in Bangkok's vibrant neighbourhood, in a quiet street next to the biggest Hindu temple in the city - Sri Mahamariamman Temple (Wat Kak). We are not a party hostel but with homely atmosphere and well travelled hosts, we offer a cozy place to stay for travellers who enjoy having good companies together with good night sleeps. Perfect place for lone travellers who are looking for some interactions and friends. In an traditional Thai-Chinese house, we have 2 large dorm rooms with comfy bunk beds and three private room (a twin room, a double room and family room). All rooms have air-conditioning.